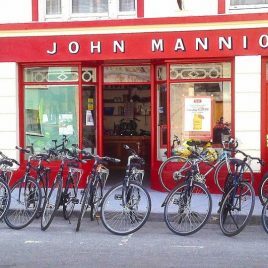 For the largest range of bikes to rent in Clifden and the surrounding area come to Mannion Bike Hire located in the heart of Clifden, Connemara. It has a range of adult and children’s bicycles available to rent so visitors and locals can explore the town and the surrounding Connemara area. All styles of bikes and sizes from 21 speed mountain bikes to 21 speed tours. Puncture repair kits, locks and helmets included.